Perkune Interconnect cable, 2,2 m RCA (cinch) version. 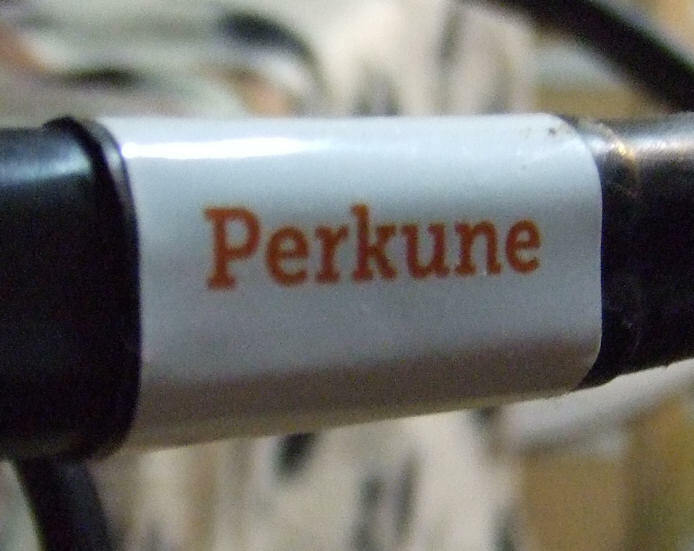 Distributor: Perkune audiophile cables, Vilnius, Lithuania. 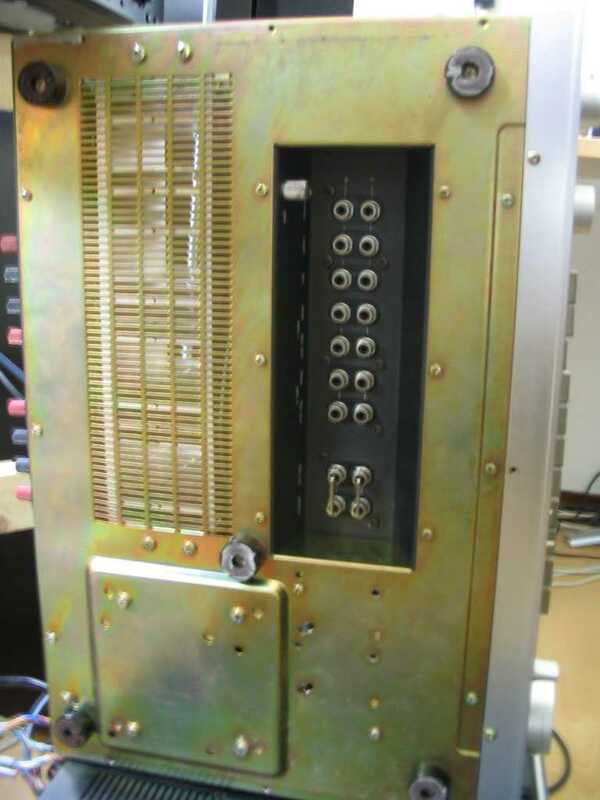 The Perkune interconnect cables are assembled in Vilnius Lithuania with the use of wire made in Italy by Tasker and fitted with 24K direct gold plating RCA connections from Neutrik. 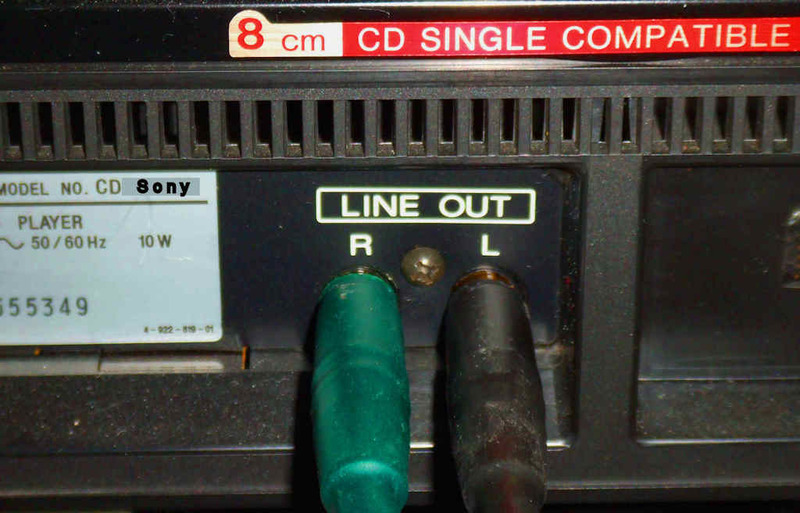 2.2 Meter Interconnect – RCA/RCA € 345.
and several 'home brew' on location. Tektronix, Hameg, Wavetek, Trio-Kenwood, UNI-T, UniVolt, Lenovo. Below the Perkune cable setup in pre/main-amp connection configuration: a Luxman C12 pre-amp connected to a Luxman M12 power amp. € 1000 per piece, in lengths from 1 M. to 2.5 M. Most have some kind of gold coated connectors like the Perkune and some silver coated ones and some nickel ones. This Perkune cable looks and feels very strong and extremely well manufactured. The cable base comes from the well known Tasker factory. 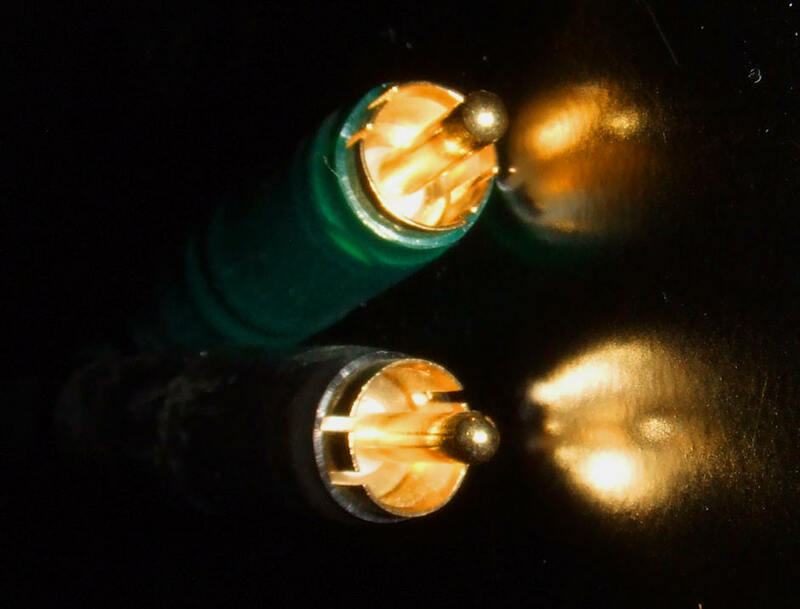 The Perkune cable has gold plated RCA plug connectors on both sides that are protected by plastic CPE covering and it has an arrow indicator and colour indication on the cable, these are made by the well known Neutrik company. It handles very well and has a significant weight. The Perkune cable is easy to handle in most situations and connects firmly to amplifier inputs. 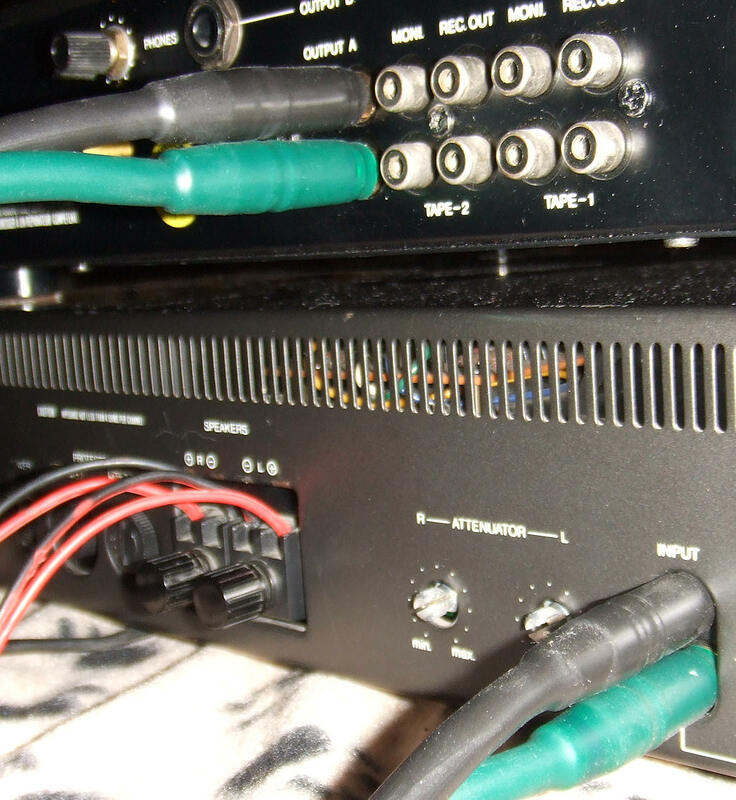 The Perkune cable is relatively rigid and can be a little surly in some situations where limited space is a problem behind amplifiers or other audio equipment stored in a cabinet. Advisable is to leave enough space behind equipment to handle the cable well and not load the input plugs with the weight of the cable, use cable support if needed, wine bottle corks as support of cables and connectors can work well and save you from future cable and input plug problems. 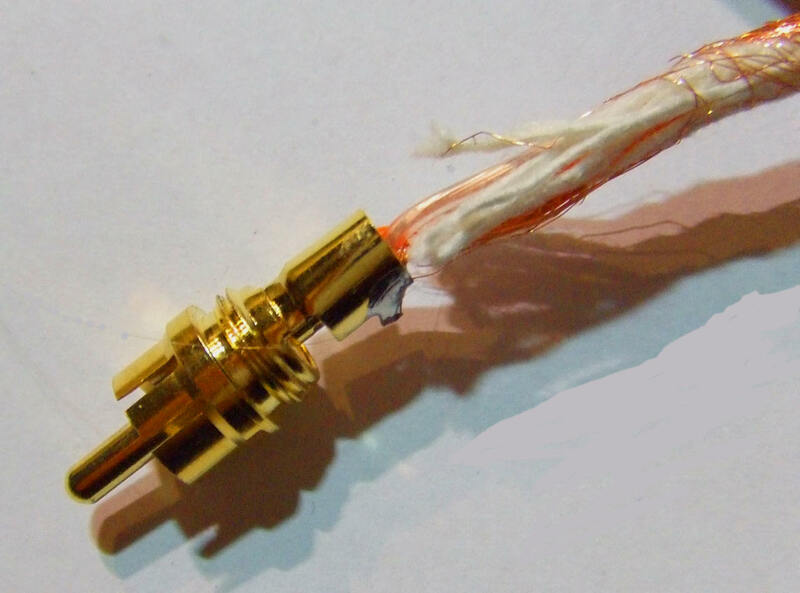 The Perkune cable is relatively uneasy to use with the notorious bottom input plug equipped amplifiers like the well known Luxman L5 integrated amplifier: the Perkune cable is no exception in handling compared to other brand cables: one should take care of the not too sharp bending of the Perkune cable and beware of the cable weight load on the Luxman L5 input plugs, support of the Perkune cable is recommended in some way, we tried it with our Luxman L5 and after some experimenting the Perkune cable worked well with our Luxman L5 amplifier. We also found that the Luxman L10 integrated amplifier has the input connectors very close together and some cables were unusable because of the fat connectors (in our case one cable version with fat Monitor-PC connectors), but not the Perkune: due to the relatively slim Neutrik connectors all worked fine with the Luxman L10, well done Perkune! Capacitance: conductor to shield: < 180 pF/meter, ~55 pF/foot. Capacitance: shield L to shield R: < 90 pF/meter, ~25 pF/foot. Capacitance: conductor to shield: < 200 pF/meter, ~60 pF/foot. Frequency response: 0-10MHz flat: perfect. Square wave response: no distortion from 5Hz up to 2MHz: perfect. Channel separation L-R: > 135 dB at 0.77 V RMS, 20 Hz- 20kHz, for 2.2 M. Better than 140 dB for 1M: perfect. The measured values are very good and are indication for high quality cable. We tried to achieve high accuracy in our lab measurements, most values are within 5% tolerance, all measurements within 10% tolerance at ~20 deg Celsius ~55% hum. 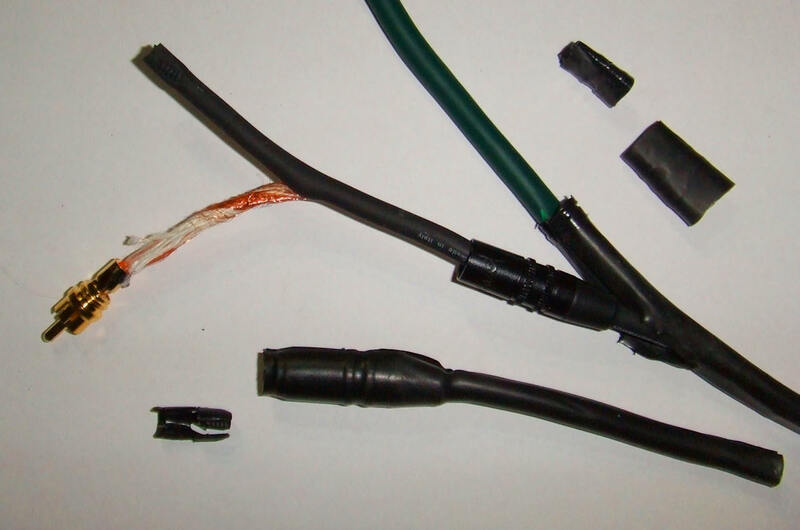 and are done with the straight cable uncoiled, all used equipment is maintained and calibrated by UCS®. The first thing we experienced is the well made electric connection with the Perkune cable, in contrast with some other cables this Perkune cable makes a firm and tight and dependable connection. No problems with intermittent contacts, no suddenly lost signals, no problems making contact with connectors and input plugs: it all works fine, even well known notorious bad amplifier input sockets behave suddenly perfect when a Perkune cable is connected, while some other cables still make undependable audio connections with the same input: when exchanged with the Perkune all works well! Then the first listening session was on: with Luxman L10 integrated amplifier on Philips and Sony CD players and Luxman T14 tuner with Tannoy Monitor Gold 15 speakers, this makes it perfectly clear: this Perkune cable is a high quality product. The sound is crystal clear, no distortion, well balanced sound stage, smooth high tones and firm decent lows. Even with the sometimes little overbrilliant dacs of the Sony CD players when the Tannoy Monitor Golds are hooked up, the sound stage stays well balanced: brilliant highs, controlled decent lows and mids with highest level of authenticity, just as a Tannoy Monitor Gold should sound. No fatiguing effects. Specially female voices are amazing! While some other cables are adding a little harshness to the female voice, the Perkune doesn't do that. In this session we used the Perkune as interconnect between the sources and the integrated Luxman L10 amp. The second listening session with Tannoy HPDs, Luxman C12/M12 pre-main, 2 Marantz Cd players, Luxman T12, Teac V3000 cassette deck, and separate dac: this configuration is more powerful and has more low frequency capability, consequently the listening levels can be at quite high SPL. It shows that the total setup with the Perkune cable is in the same league as above, but with amazing dynamics. The HPDs may have a little less authority in the mids but the dynamic sound stage of the HPDs is overwhelming. We used the Perkune in all kinds of possible connections. Some cables are a little set back when it comes to dynamic soundstage, not the Perkune: the Perkune cable brings it all straight into your room. The third listening session with Tannoy Monitor Golds and the amazing pre-main combination: Luxman 5C50 - Luxman 5M20, this was also a real sound party! The same dynamic experience was as above with overwhelming sound stage specially in the mid frequencies, a real winner combination, now you experience why tons of clean sound power ready in the box is so convenient: highest levels of authenticity, like a live concert. Here we connected the Luxman 5C50 pre and Luxman 5M20 main with the Perkune cable: this is a winning setup. Highly recommended. Our test cable was 2.2 M. length, that is in this setup much too long, please use the 1.3M. length version for optimal results in such pre-main amp connection setup. Then we did the above described L5 test and we tested some not so high-end gear with this Perkune cable. We did the test with a Pioneer SA420U amp, and some other amps and receivers, some speakers like the mentioned Tannoy 611 and of course the Tannoy HPD315 in Cheviot cabinets. This HPD315 Cheviot is a widely spread speaker system and thats why we involved this in the test, the Tannoy HPD315 is thus some kind of reference. Using the Perkune cable in combination with the HPD315 is a very good idea: it shows how great this HPD315 speaker is. The HPD315 is finally coming into its own with the use of this high quality cable, you get the most out of the Tannoy HPD315, even with the moderate 2x30 Watts RMS that these kind of amplifiers can bring. Throw away your old low grade interconnects and start using this great stuff. In the recording studio we use Tannoys and some low-end speakers when monitoring recordings, so here we even wanted to try the Perkune cable with a low-end receiver and bookshelf speakers, our test set was the vintage National Panasonic SA420R with Technics (National Panasonic) SB-30R speakers connected to some digital sources. Here the Perkune cable did the job excellent again. We also did a final test with connecting the Perkune cable to a vinyl record-player and found the cable working fine with the record-player that has the output sockets on the back of its cabinet, the record-player with SME arm with the output sockets on the arm-base the cable had the well known handling problems like all the heavey and thick cables have, I would rather like to use lighter cables with the SME. Again we recommend to use the 1.3 M. Perkune version here and not the 2.2 M. as for capacitance reasons. Although its a pity to break this nice cable, we are technicians so we want to know it all and to satisfy our technical interest. I cut the plastics of the cable and awarded us a look inside. On the photos you can see what we found. You can bet I repaired the cable as much as possible afterwards: I want to be able to keep on using it on my home audio system. This is a High-end quality product with excellent properties. 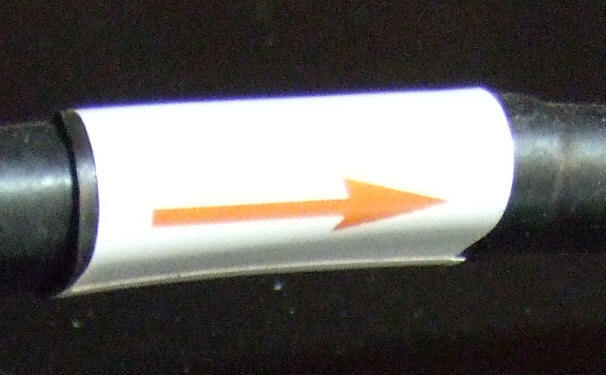 Perkune audiophile cables – Vytenio 3- 6, Vilnius, Lithuania. © PE1MMK Hans Hilberink & crew, 2016, last update: 15-01-2017.